Find out more about our Sponsorship Package Options. 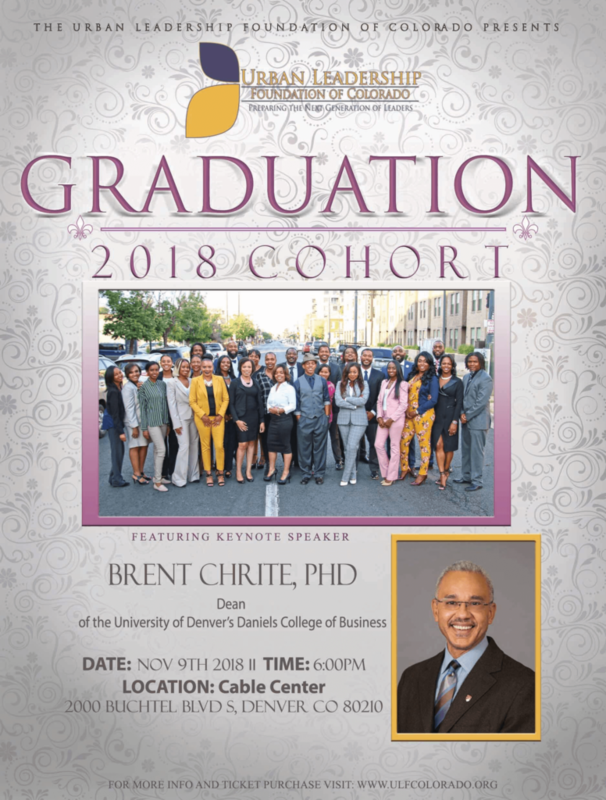 Brent Chrite is dean of the University of Denver’s Daniels College of Business, where he is leading the organization through a major strategic shift. That shift includes overhauling virtually the entire programmatic portfolio, expanding the College’s global footprint and executing an ambitious blended-learning initiative. Daniels currently serves about 3,000 students. In academic and private sector positions, Brent specializes in change, turnarounds, strategic innovation, and globalization. He is also known for taking on some of world’s toughest markets, from Afghanistan to Zimbabwe, using fresh approaches and pursuing a passion for building individual and institutional capacities and enabling environments. In parallel with his higher education work, he has led projects under the auspices of bilateral and multilateral agencies in some of the world’s most distorted markets. These include working on behalf of the World Bank to address debilitating and structural poverty challenges in Ethiopia and Tanzania, the Eurasia Foundation to strengthen private sector enterprises in Uzbekistan as well as the landmark Millennium Promise poverty alleviation initiative, a program headed by Jeffrey Sachs, to evaluate the efficacy and impact of Millennium Village business models throughout east Africa. Brent is currently working on behalf of the US State Department with public and private sector entities in Herat, Afghanistan, on economic and workforce development activities. Brent developed market-entry strategies in Poland and Namibia for Whirlpool and General Motors respectively in his capacity as managing director of the William Davidson Institute (WDI) in the early 2000s. WDI is a University of Michigan-based business outreach and research institute focused on post-transition and emerging markets. Brent led the Institute for five years. Brent is a member of the Gordon Food Service (GFS) board of directors and serves on the risk committee. GFS is a $15 billion organization and one of the 50 largest privately held companies in America. He is also actively engaged in his community and serves on the boards of Junior Achievement – Rocky Mountain, Inc. and the Denver Metropolitan Chamber of Commerce. Across his 30-year career, Brent has held positions in both higher education and the private sector. He was dean at the Feliciano School of Business at Montclair State University and led the graduate programs at the University of Arizona’s Eller College of Management. Prior to his academic career, he worked in the healthcare practice for a small boutique-consulting firm, the Rathmoor Company, which specialized in building and managing alternative healthcare delivery platforms. At Rathmoor, he oversaw the design, construction and operations of integrated ancillary facilities across southeast Michigan. Brent also served in leadership capacities with the Sisters of Mercy and the University of Michigan hospital systems. Brent is a committed and passionate teacher. He has taught strategic management, leadership, and international business to graduate business students and executives at the Ross School of Business at the University of Michigan, the Eller College of Management at the University of Arizona, and in universities around the world. Brent completed his undergraduate work at Michigan State University, earned an MS at the University of Missouri-Columbia and holds a PhD from the University of Michigan.